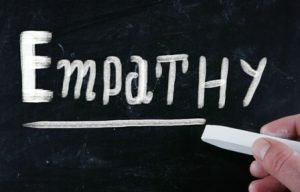 Tanveer Naseer, writing in Empathy in Leadership – 10 Reasons Why It Matters, identifies empathy as agreeing or relating to the feelings another person has regarding a given situation or individual. Empathy means being able to understand the needs of others. You’re aware of their feelings and how it impacts their perception. It doesn’t mean you have to agree with how they see things; rather, that you’re willing and able to appreciate what the other person is going through. In Teaching Strategies: The Importance of Empathy, Jordan Catapano defines empathy as “the power to understand perspectives other than your own.” Empathy is foundational for building bridges between individuals, understanding each other’s’ complex emotions, gaining a diverse perspective, and leveraging relationships for collaboration and progress. Catapano reminds us that empathy is a skill and like all skills, it can be thoroughly developed … or ignored. For the teacher/leader in the classroom, empathy boils down to being considerate and respectful of those we lead. The honest desire to understand stems from respect for the worth of the student as a human being. Empathy is an indication of the importance each of us gives to our students. 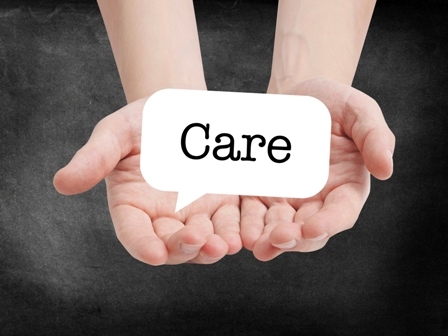 Empathy creates bonds and develops trust. When students feel bonded, they are much more likely to cooperate. Being anything but “honest in the process” will come off as manipulative and will tear down trust levels. First, empathize with the person’s feelings. Second, point out the person’s past or future success and/or focus the person in an alternative direction. “Working together, we can. . .” . Looking at the earlier teacher comment, here are possible empathy statement responses. I find that when the coach/facilitator/leader allows the teacher to own the feeling and the problem, it is much easier to listen and empathize. When you take ownership of the problem and feeling, empathy is replaced by problem solving or defensiveness. Building Communication and Teamwork in the Classroom provides educators with strategies to increase their success in leadership, communication and listening, positive thinking, student support, and team building.